Muffin tins are a common kitchen item many of us have in our homes. Traditionally used to bake muffins, the muffin tin actually has uses that exceed far beyond than just baking. 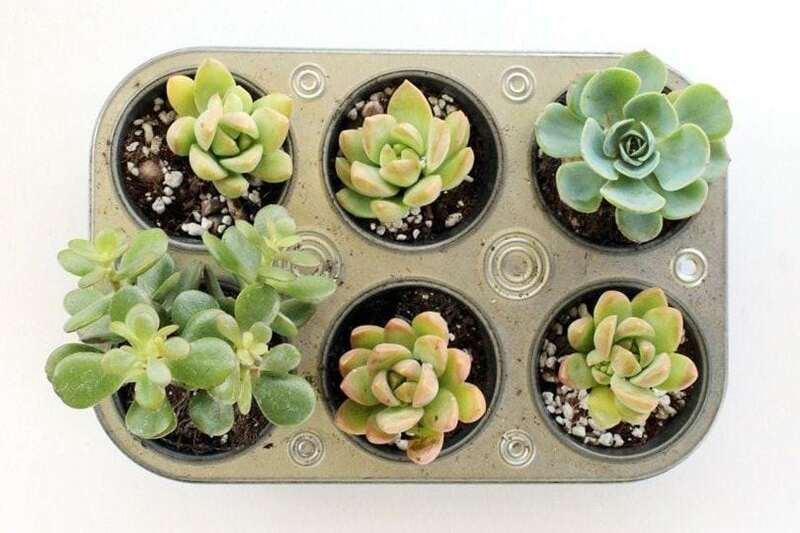 We’re sharing 40 awesome, yet unexpected ways to repurpose a muffin tin that are sure to change your perspective, forever. It’s summertime, and warm weather calls for icy cold drinks. Make giant ice cubes by pouring water into a muffin tin and placing the tin in the freezer. Add a slice of lemon or lime for extra taste. 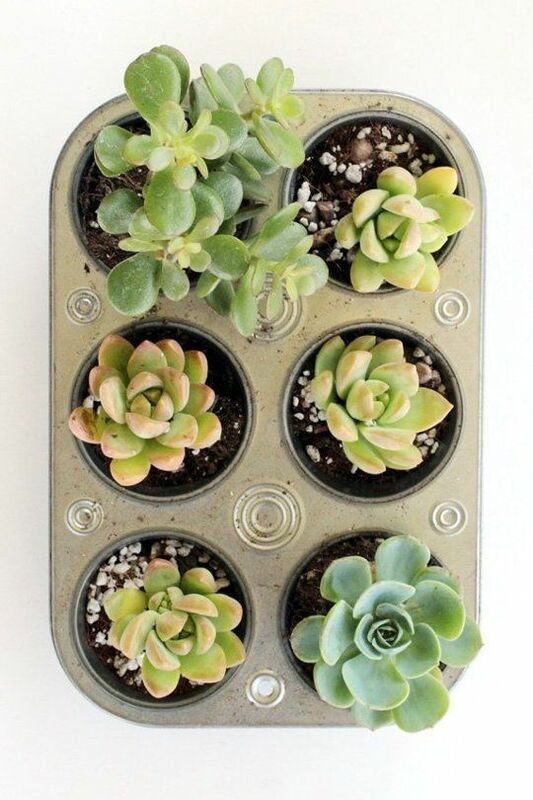 Plant a small succulent garden using a muffin tin. This is a great option for city dwellers who are limited on space. Plus, this garden is very low maintenance. Transport multiple drinks by placing filled glasses in a muffin tin. This not only prevents spills, but also keeps drinks organized. A great option for movie night with the kids or time outdoors. There’s nothing more irritating than a unstable chair. If you find yourself in this situation, simply grab a muffin tin and place it under the shorted leg, giving the chair that much needed boost. This is a quick, and easy way, to solve the problem! Painting is great, but it’s not always easy to keep the colors from mixing. 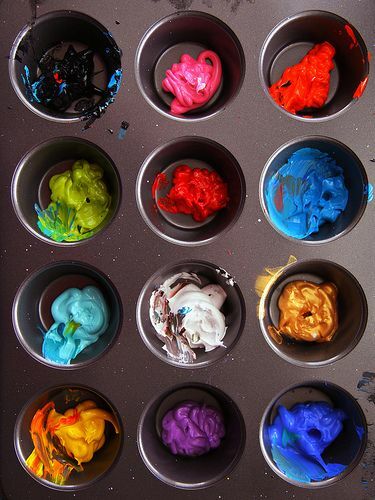 Use a muffin tin to keep paint colors separated, without hindering the creative process. Now, you’re ready to create a masterpiece. 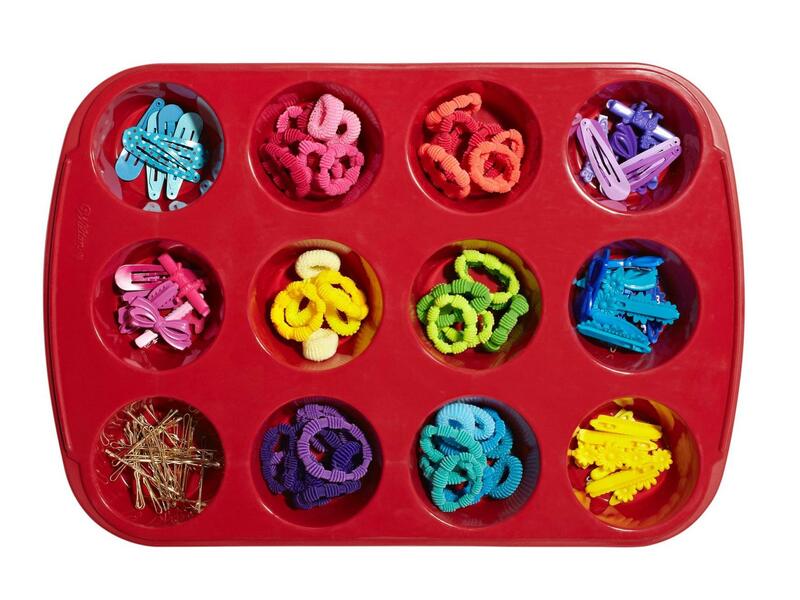 As women, we understand our need for hair accessory organizers. 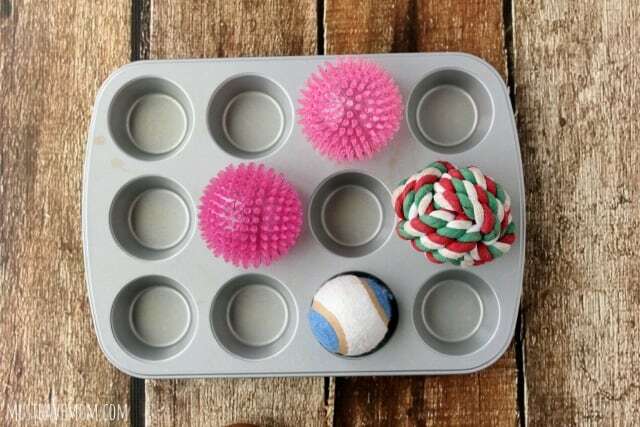 From bobby pins to hair ties and everything in between, use a muffin tin to keep hair goodies all together. This also makes getting ready in the morning faster, as you can just grab and go. Create a fun experience in the comfort of your own home. 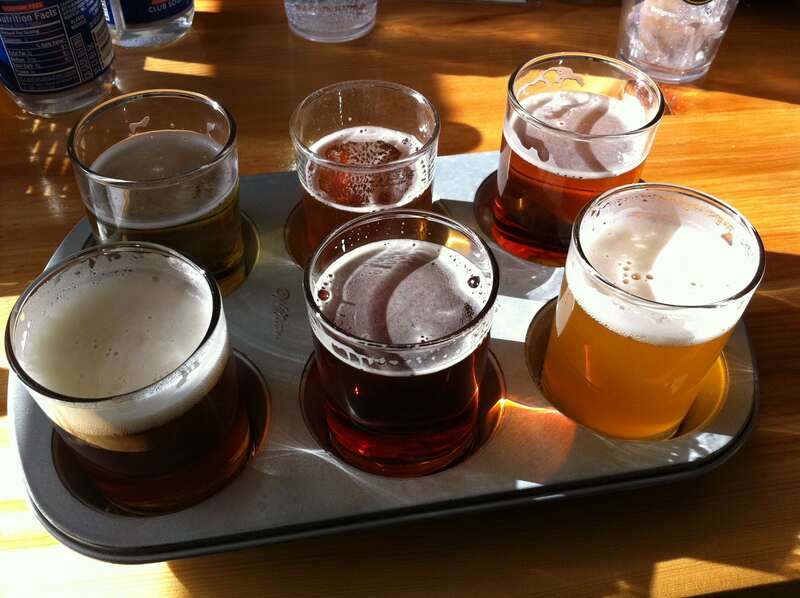 Using a muffin tin, pour different types of beer into each glass to make an at-home beer flight. This option is awesome, economical, and super fun! 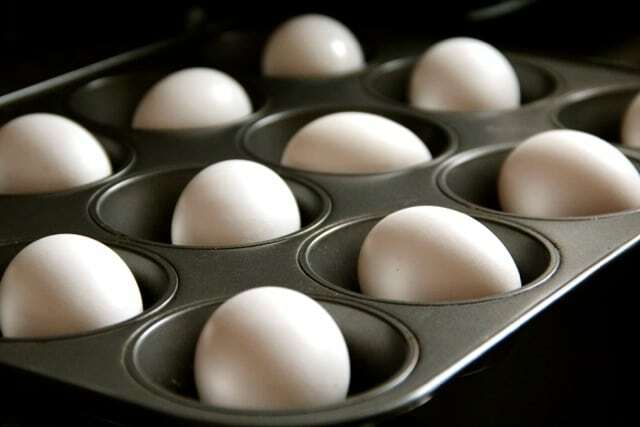 Perfectly cook eggs in the oven using a muffin tin. Simply place one egg in each cup, and bake. Remove carefully, let cool, then peel and enjoy. 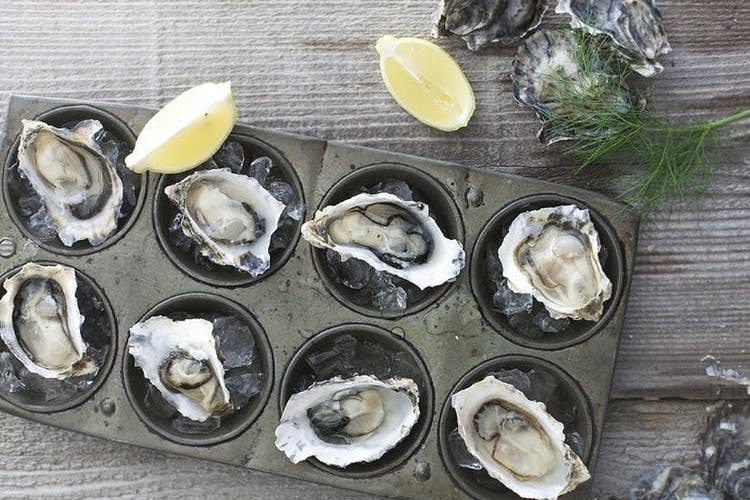 Serve oysters like a professional with this crafty display. In each cup, set ice and an oyster. Add a slice of lemon for both flavor and presentation. Fancy! Bath bomb are, well, the bomb. They’re both relaxing and colorful, but tend to get pricey. 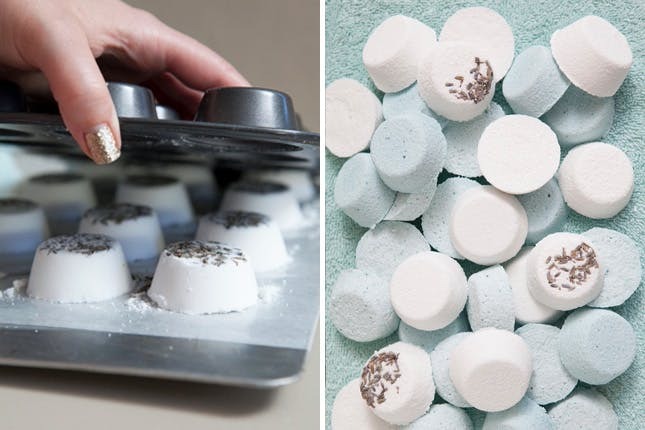 Create your own DIY bath bombs at home, using a muffin tin, to customize scents and colors. 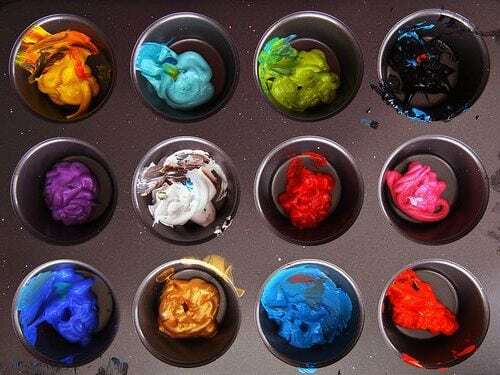 Keep stock of your arts and crafts supplies, using a muffin tin. 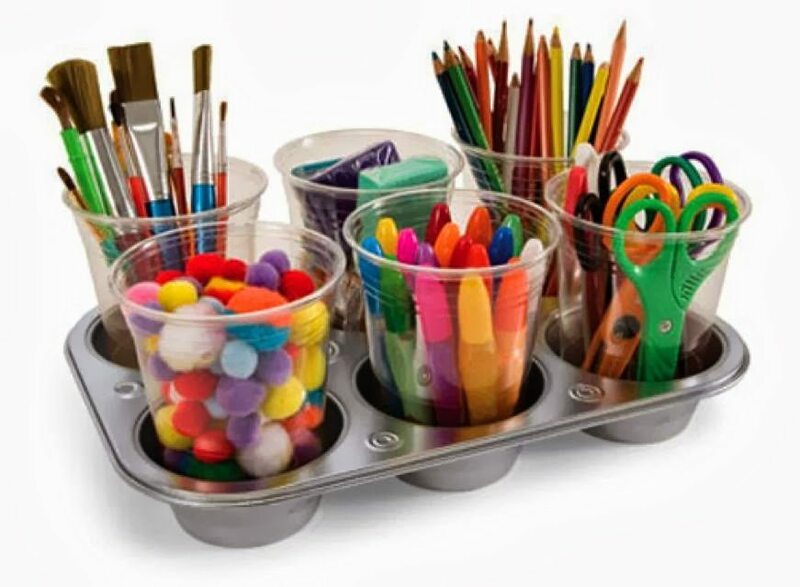 Organize supplies in plastic cups and store in the tin. You’ll be prepared to start on your next project! 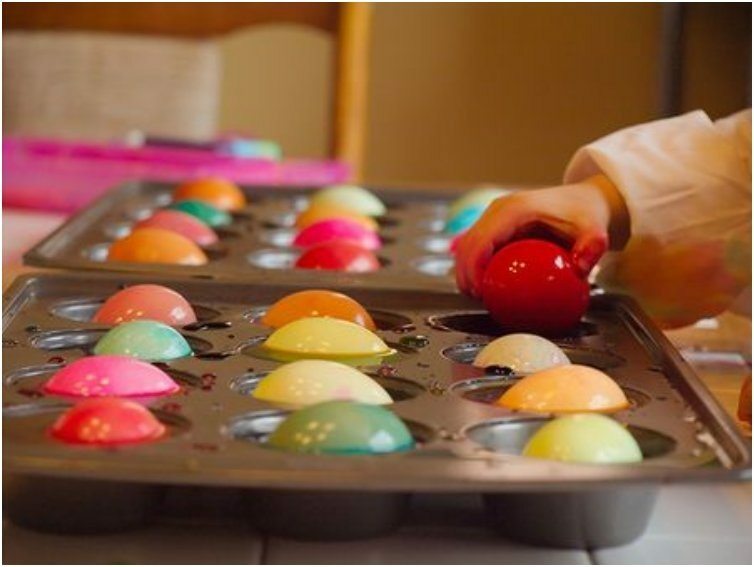 If you’re dying Easter eggs with the little ones, a muffin tin makes a great color dye holder. It’s easy for kids to dip in, while also eliminating potential messes. Plus, there’s no need to clean multiple different cups with this hack. 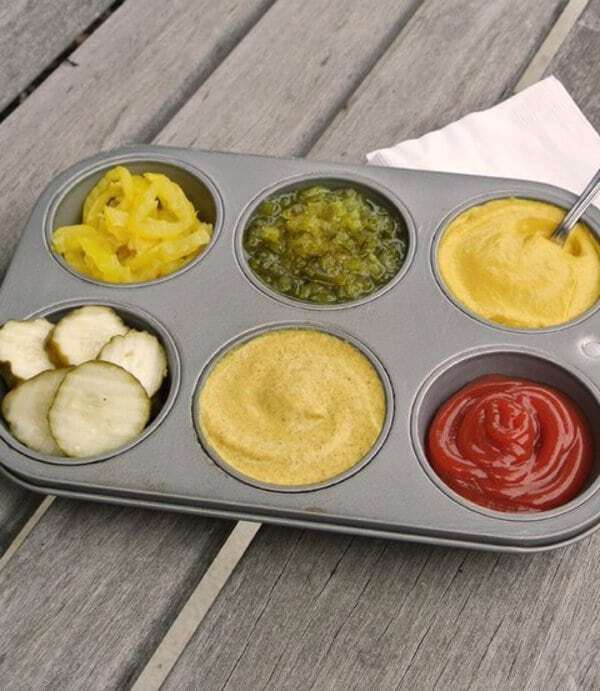 Repurpose a muffin tin as a condiment tray for your next cookout. Simply place ketchup, mustard, mayo, pickles, and other condiments of choice in each cup. Now, all you need to do is fire up the grill! Hosting a dinner party? 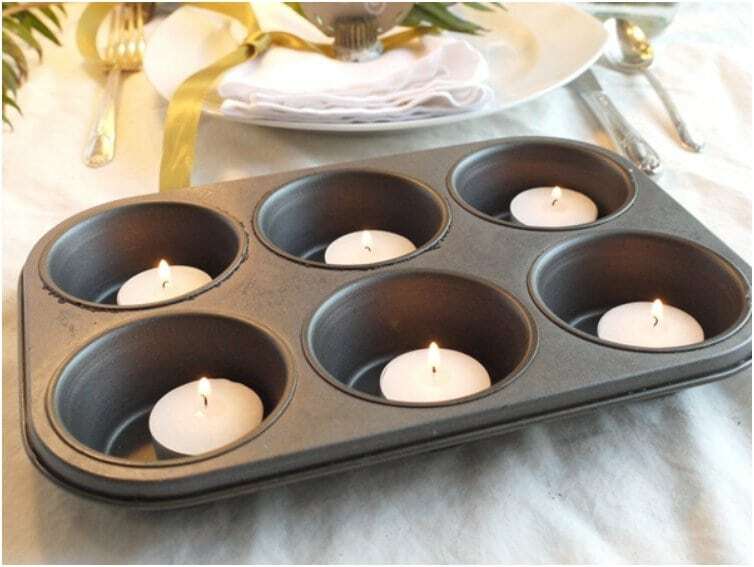 Present candles in a unique way, using a muffin tin. How neat! 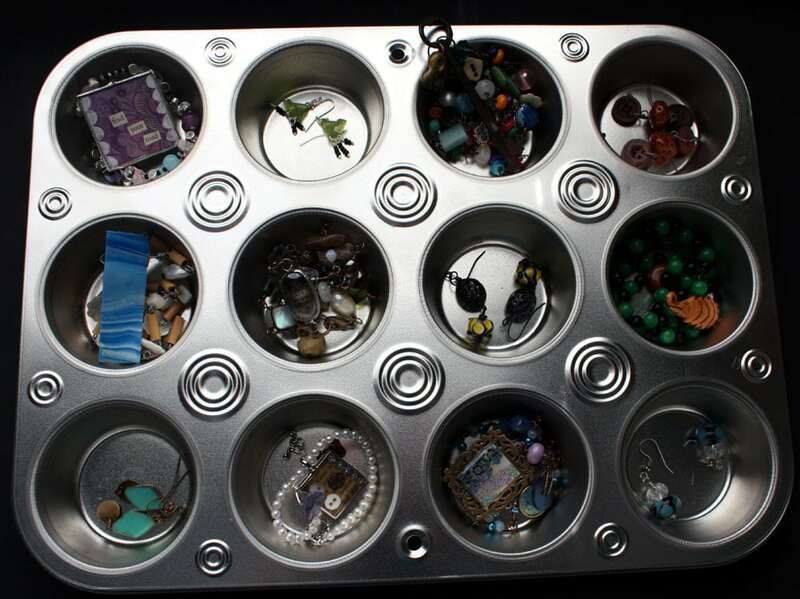 Organize jewelry using a muffin tin. That way, you can see all your options clearly, and in a rush, you can easily pick up and go. Awesome! 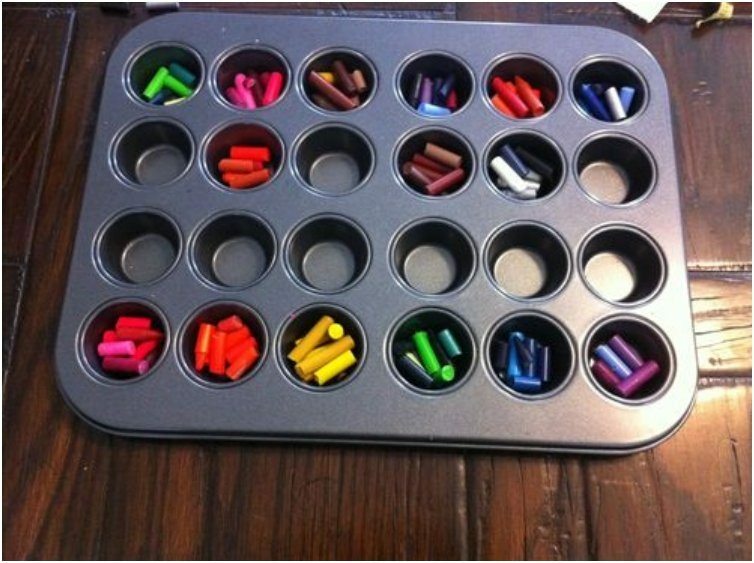 If your kids have a bunch of broken pieces of crayons, re-create new ones by melting them down in a muffin tin. Let cool and you’ll have brand new, fun-shaped crayons. Host Taco Tuesday in a unique way! 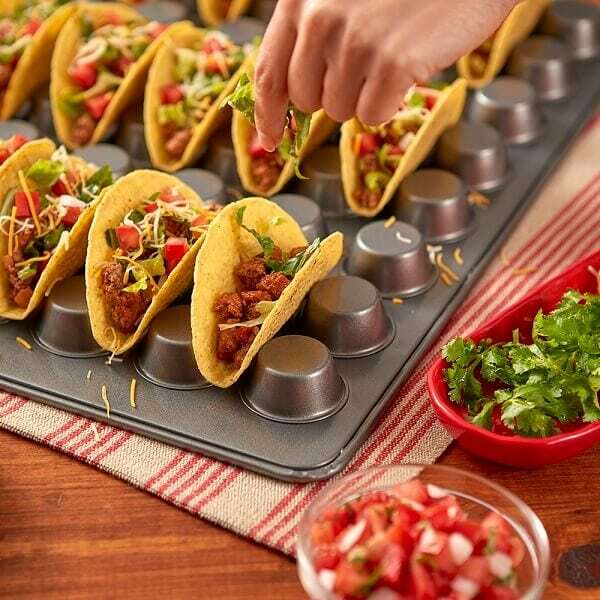 Place taco shells in the indents of the muffin tin, serving as a taco holder. This takes multi-tasking to the next level. 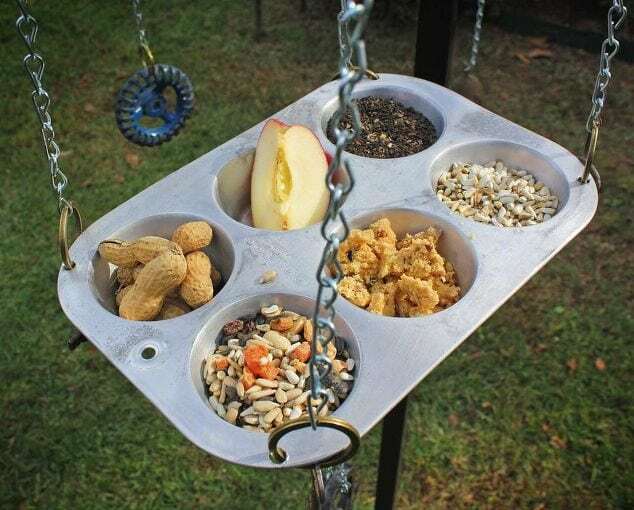 Create your own DIY bird feeder using a muffin tin. This is not only great for the birds, but can be a fun family project. So sweet! Ornaments can be fragile, easily sliding or breaking in their boxes. 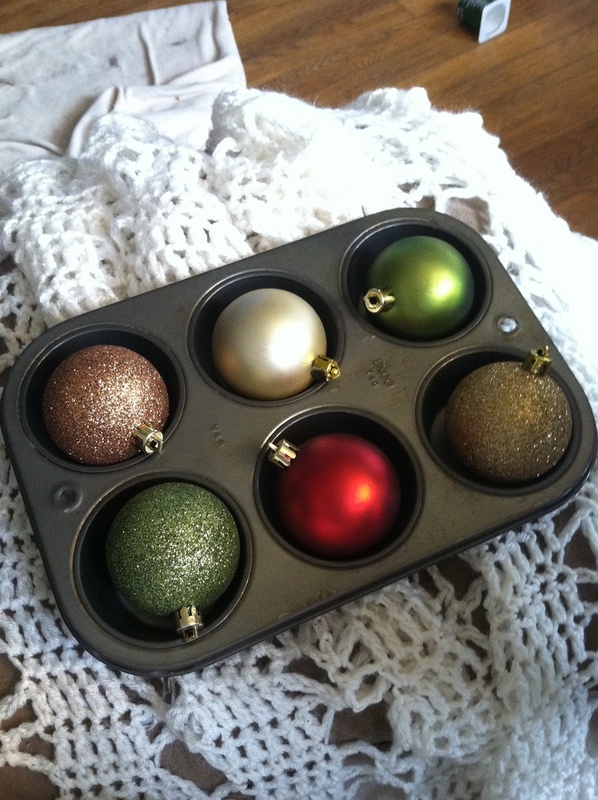 Use a muffin tin to store ornaments, ensuring their safety during the 11 months of the year they’re being unused. Plus, with it’s round shape, the ornaments fit perfectly. We all love peanut butter cups, and now you can easily make them at home. 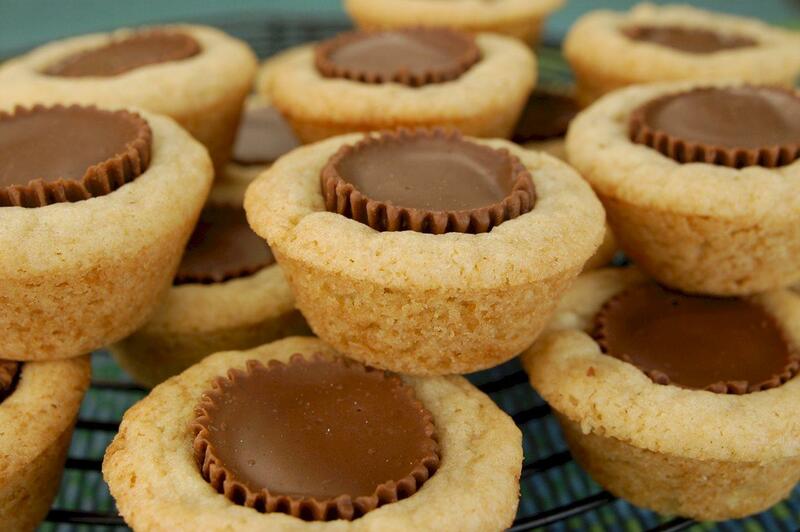 Using a muffin tin, place dough and chocolate peanut butter cup candy. Bake and enjoy! 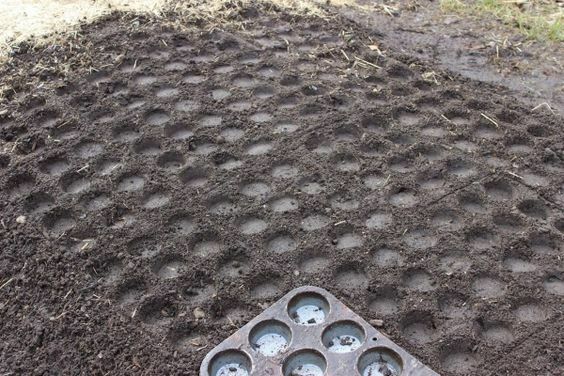 Use a muffin tin to prep your garden for planting seeds. The impressions from the muffin tin not only creates depth, but also ensure the plants are equally placed. Cool! 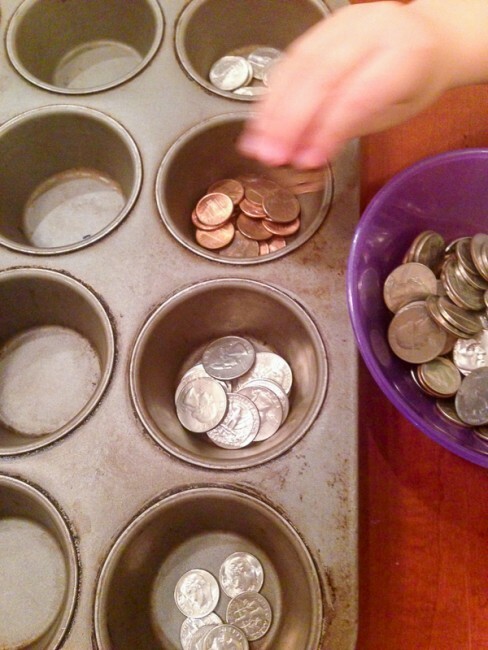 Keep coins organized by using a muffin tin. 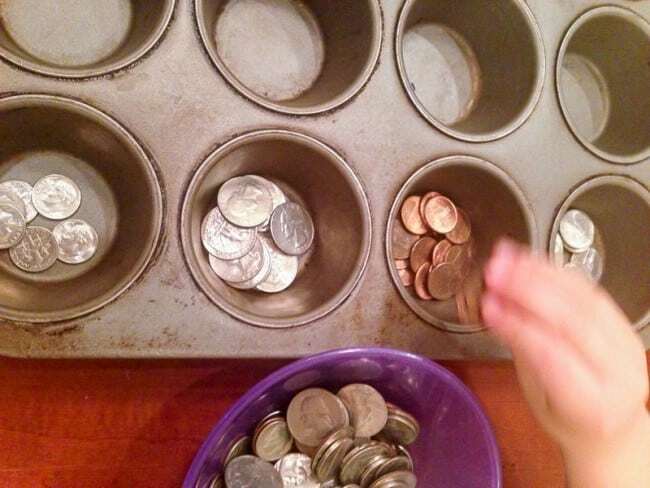 This is a great option for kids, helping them to easily learn to count coins. 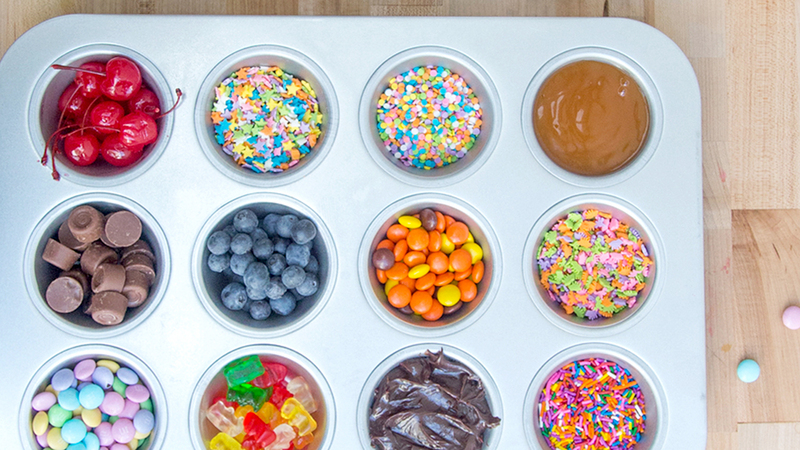 This is perfect for an ice cream party. 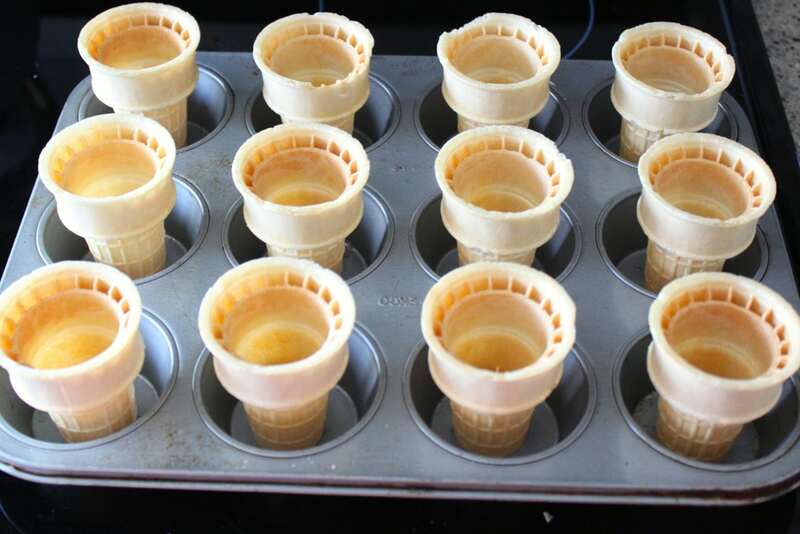 Utilize a muffin tin as an ice cream cone holder, holding cones upright as you prepare to scoop ice cream. How cool! 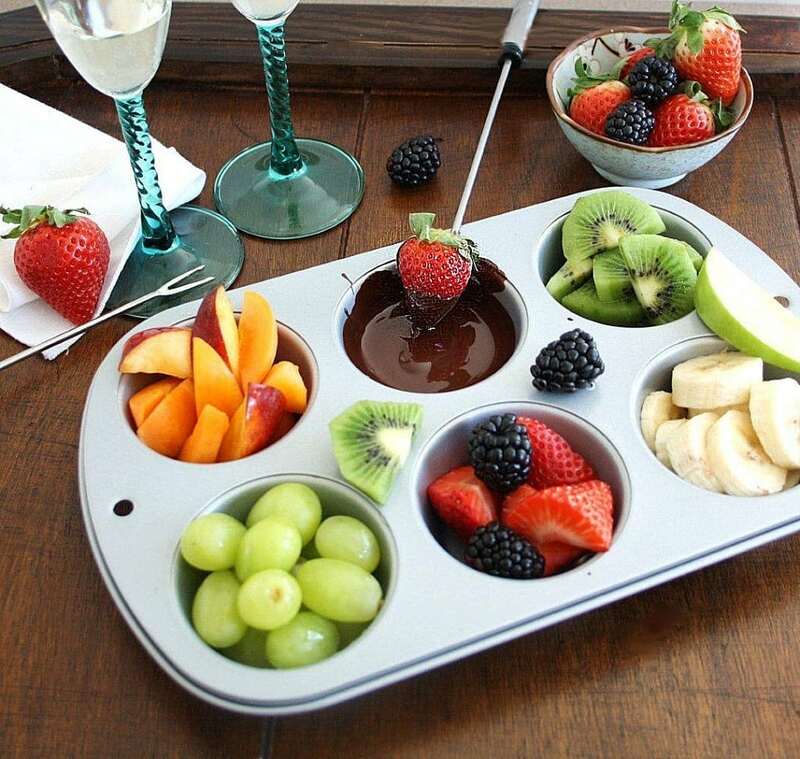 Make this fun fondue platter at home, using cheese, chocolate, or both! Place a variety of treats in each cup, creating an enjoyable eating experience. Cute! We love our pets, but they’re toys tend to get scattered everywhere. 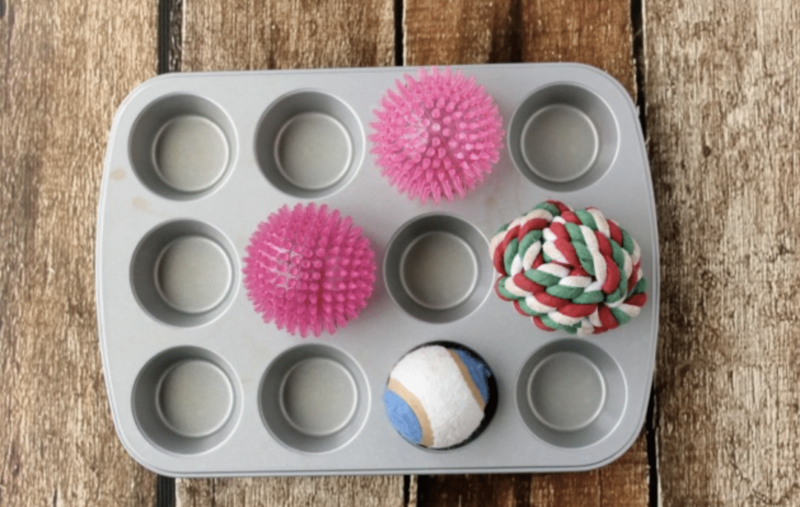 Keep your beloved pet’s toys organized by using a muffin tin. This hack will definitely keep your more home tidy. 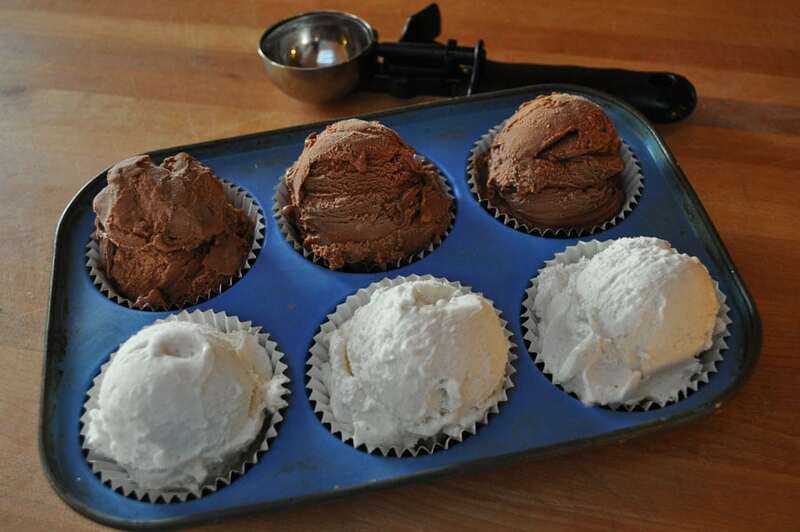 Place muffin liners in each cup and scoop ice cream into a muffin tin. This makes it easy to serve to guests at a party or outdoor barbecue. Looks delicious! Stuffed bell peppers are both healthy and delicious, but once they’re filled, they tend to get a bit top heavy and sometimes tip over. 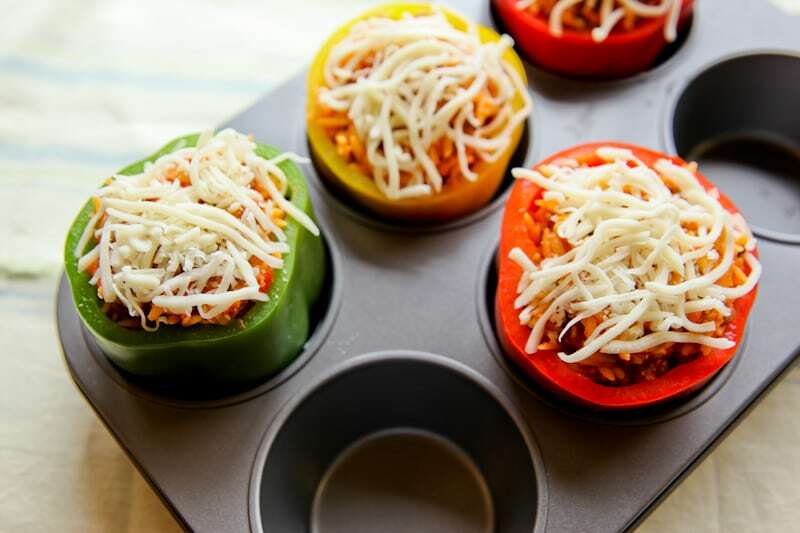 Avoid this cooking mishap and ensure they stay upright, by placing stuffed bell peppers in a muffin tin. Place in the oven and bake. Looking for a last minute gift? Try crafting this unique decor item for someone special! 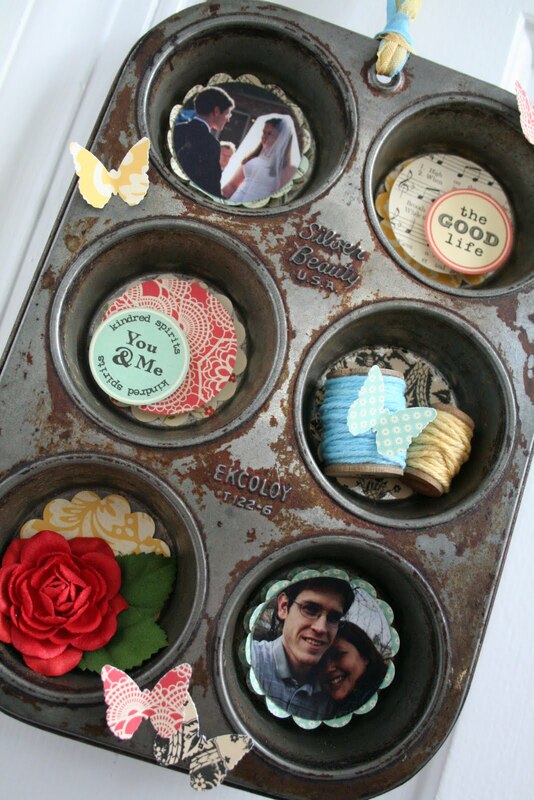 You can personalize the muffin tin with pictures and pendants, truly making it one of a kind. Use a muffin tin as a dessert topping station. This is great for children’s birthday parties or events, providing variety but also eliminating excessive waste. [slideshow type=desc num=30]Fresh juice tastes delicious, but does take a little bit of work. 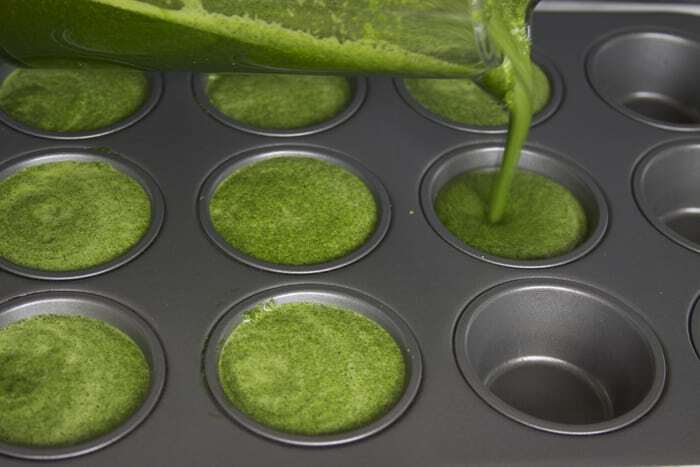 Preserve fresh juice by pouring excess portions into a muffin tin, then freezing. Save these juice cups for your next smoothie later in the week. 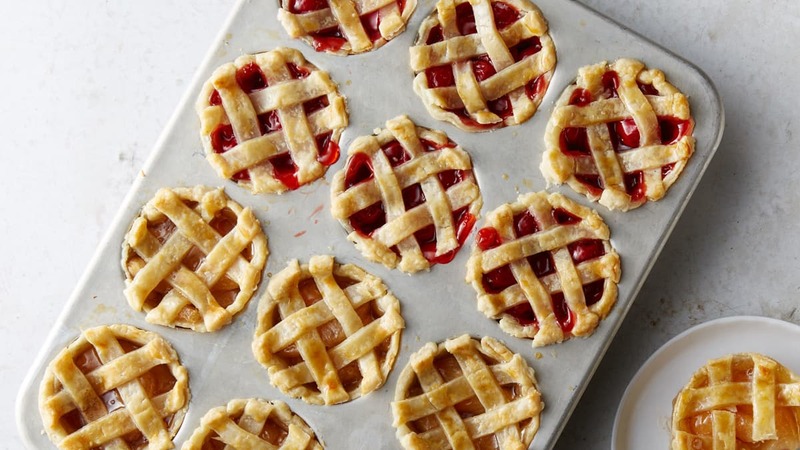 Use a muffin tin to bake mini pies as a splendid summertime treat. Simply cut pastry sheets to size and add a small amount of fruit. Then, pop the tin into the oven and bake delicious, personalized pies. 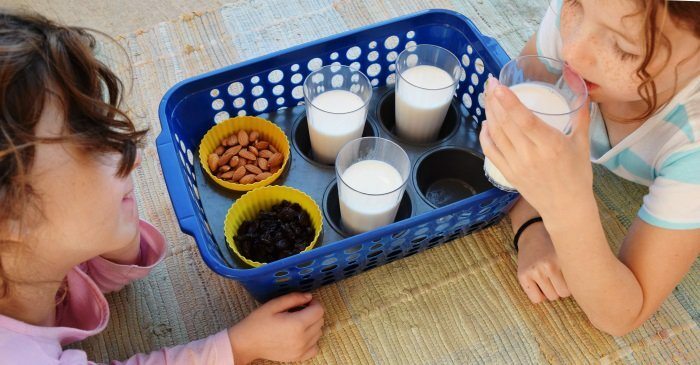 Make a snack tray at home, conveniently using a muffin tin. 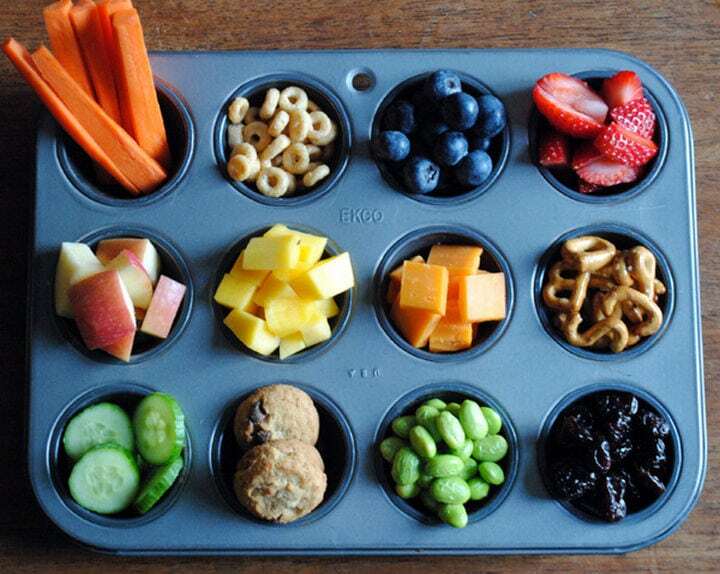 Fill each individual cup with a different snack. Set on the table and you’re ready! 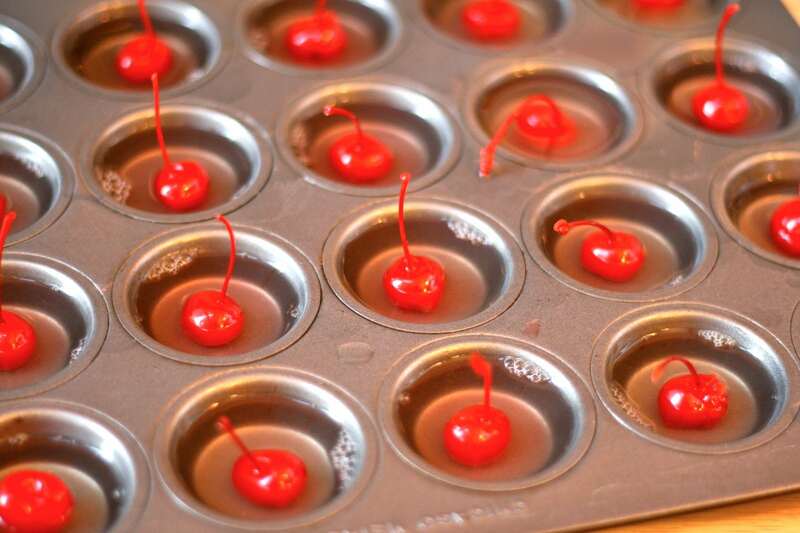 Make mini jello cups with a muffin tin. For adults, add alcohol to make jello shots. 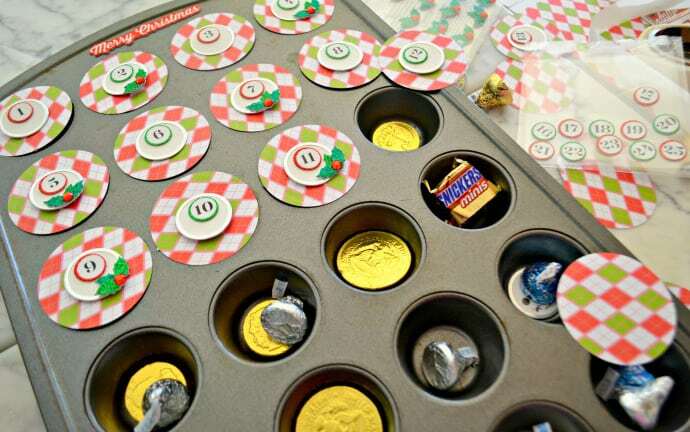 Kids love holiday countdown calendars, and this year, opt to make your own out of a few supplies you have around the house, including a muffin tin. Decorate as you please, adding sweet treats under each day. Super fun! 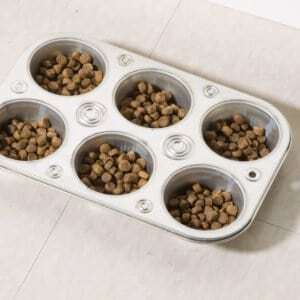 Slow down your dog’s food consumption or help multiple pups learn to share using a muffin tin. This unexpected use is very helpful! Garages can be difficult to keep neat. 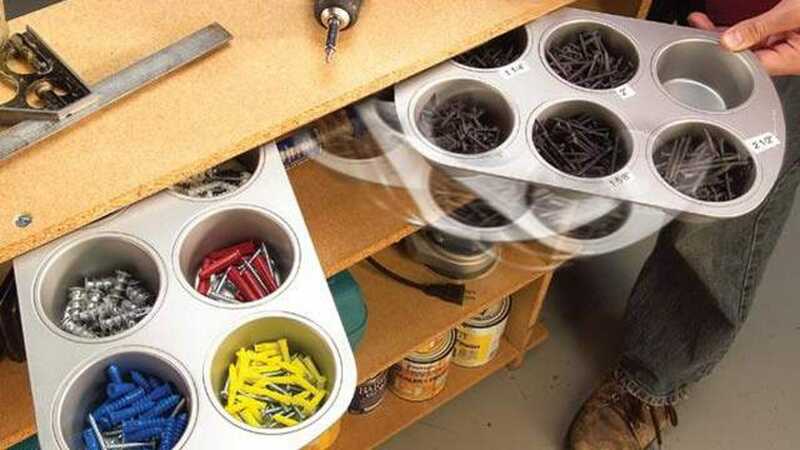 Opt for a muffin tin to organize all the nuts and bolts in your garage. There’s nothing better than some warm, buttery buscuits. Using a muffin tin, make this comfort food in the comfort of your own home. You won’t regret it!